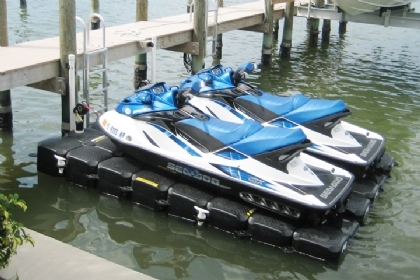 If you have multiple PWC's then JetDock's double jet ski lift is perfect for you! Call us to discuss ordering options at 1-800-538-3625! You've worked hard and invested a lot into your PWC, so why would you let it sit in the water when you're not using it, letting it become victim to hull de-lamination and PWC intake fouling? If you own a PWC, you probably bought it so you can relax and have fun out on the water, so why should you have to struggle with jet ski lifts and docks that are difficult to use and maintain? Let us do the hard work for you when it comes to boarding, launching, and dry-docking your PWC. 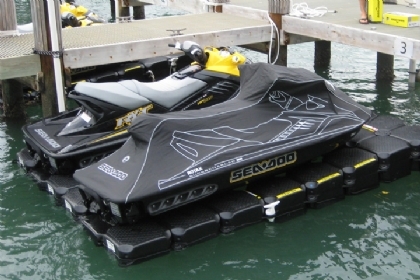 JetDock knows that sometimes you can't just have one toy, so we've designed the double jet ski lidt to hold mutliple PWCs in one, contained spot. Great for boarding, even better for docking. 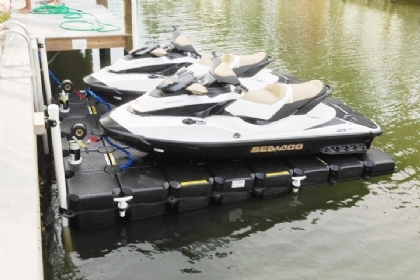 Jet Dock's Twin PWC lifts work for all major brands of jet skis, which is why they are refered to sometimes as Seadoo lifts or Waverunner lifts. 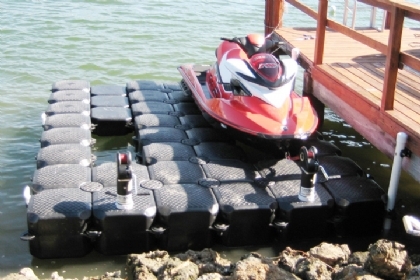 Learn more and get started ordering your jet ski floating dock today! Easy to use and maintenance free, our floating PWC lift will be the best investment you ever made for you PWC. Always ready to use regardless of water level. 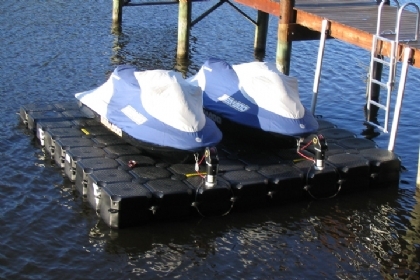 JetDock offers innovatively engineered static floating boat lifts that will get your water craft completely in and out of the water with ease, has no moving parts to create maintenance issues, and requires absolutely no electricity to function.